Abstracts are sought for a collection of philosophical essays related to the AMC television series and Image comic book series “The Walking Dead.” This volume will be published by Open Court Publishing (the publisher of The Simpsons and Philosophy, The Matrix and Philosophy, Dexter and Philosophy etc.) as part of their successful Popular Culture and Philosophy series. Potential contributors may want to examine other volumes in the Open Court series, and specifically the previous volume of The Walking Dead and Philosophy: Zombie Apocalypse Now. 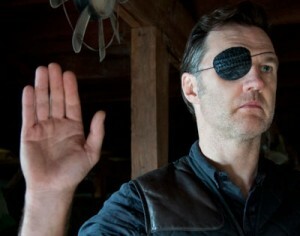 Can Rick trust his senses? Blade Runner 2049 and Philosophy, CFA Deadline Extended. Scott Adams and Philosophy, Deadline extended. Since its inception in 2000, Open Court's Popular Culture and Philosophy® series has brought high-quality philosophy to general readers by critically exploring the meanings, concepts, and puzzles within television shows, movies, music and other icons of popular culture.